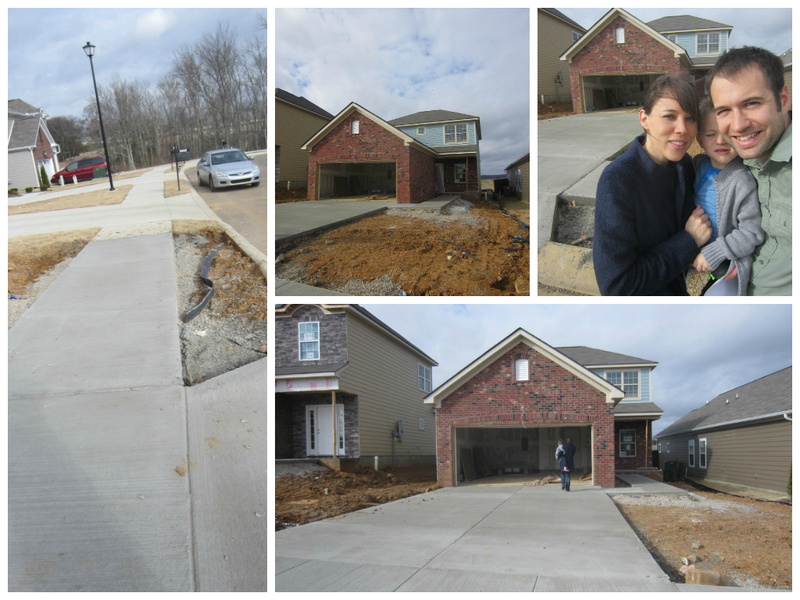 We had not seen the progress on our new home since your 4th birthday two weeks ago. 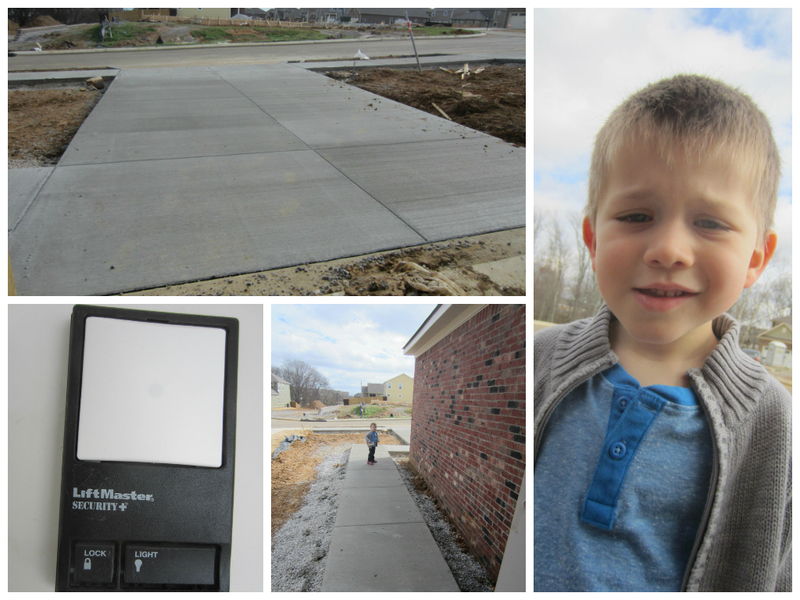 So it was really exciting to see our driveway has now been poured, along with the sidewalk in front of our house; as well as leading up to the front door. 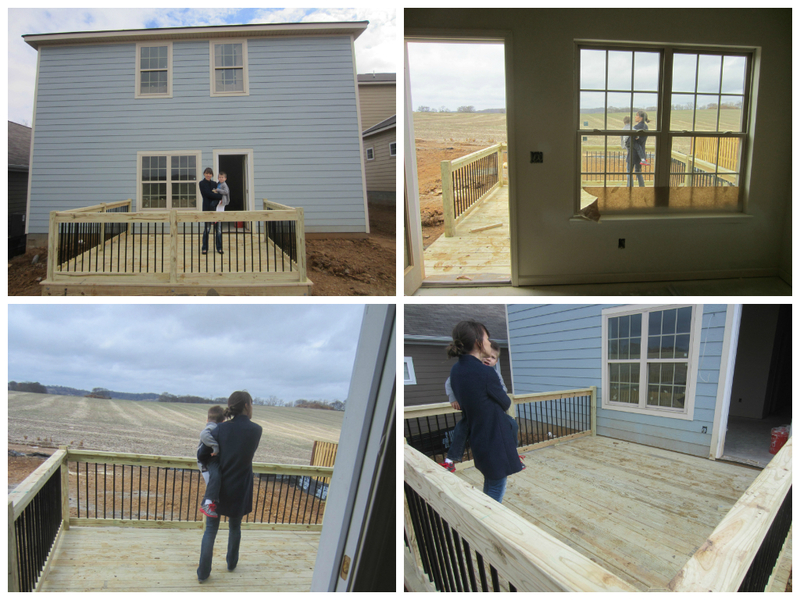 But the bigger surprise was seeing that a back porch has been added on to our house! Built into the price we are paying was supposed to be a 5×5 foot concrete slab to put patio furniture on. 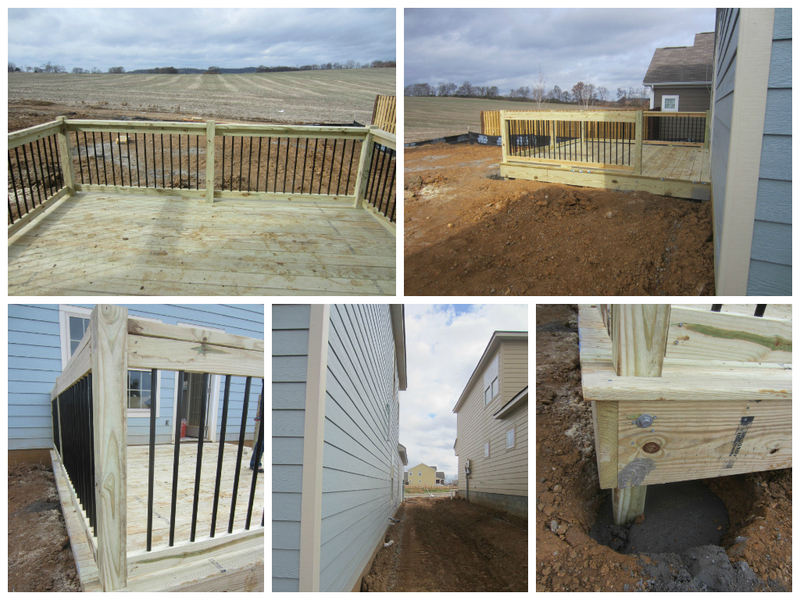 Instead, they built us a 12×12 back porch. I suppose it had something to do with the land not being level enough for the originally intended patio. Granted, we’d rather have a back porch anyway. The way I see it, it’s technically like having a 5th bedroom, or a 2nd bonus room! Mommy and I are planning on buying a fire pit for the backyard. We truly want to have bonfires on a regular basis, especially in the summer and fall. 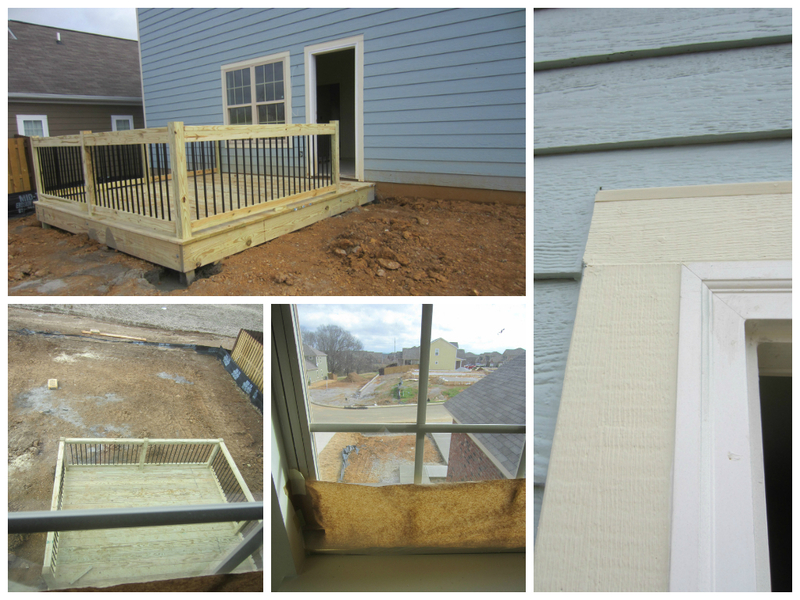 Now, we will have a back porch to add to the fun! 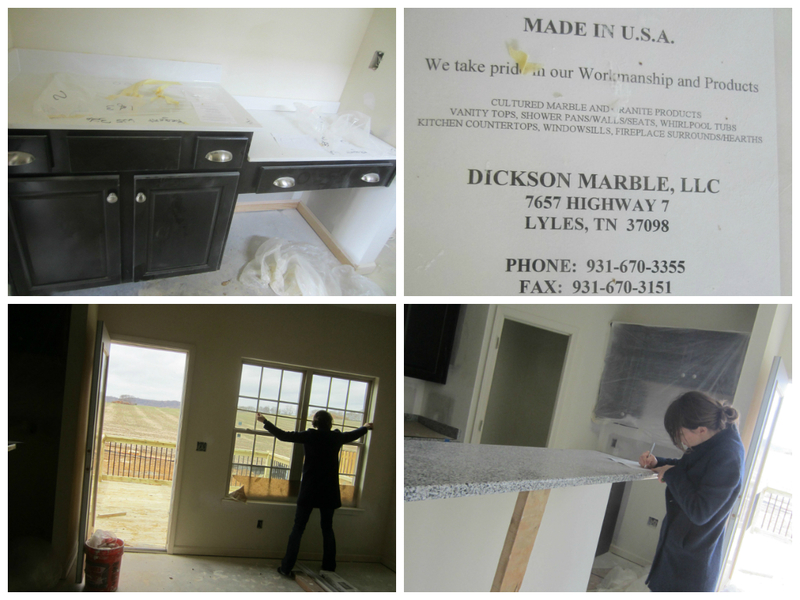 Our marble countertops for our bathrooms are now in, which I am proud to see are made in America. While I carried you around the house, Mommy measured for the Roman Shades we are considering putting up in the windows. 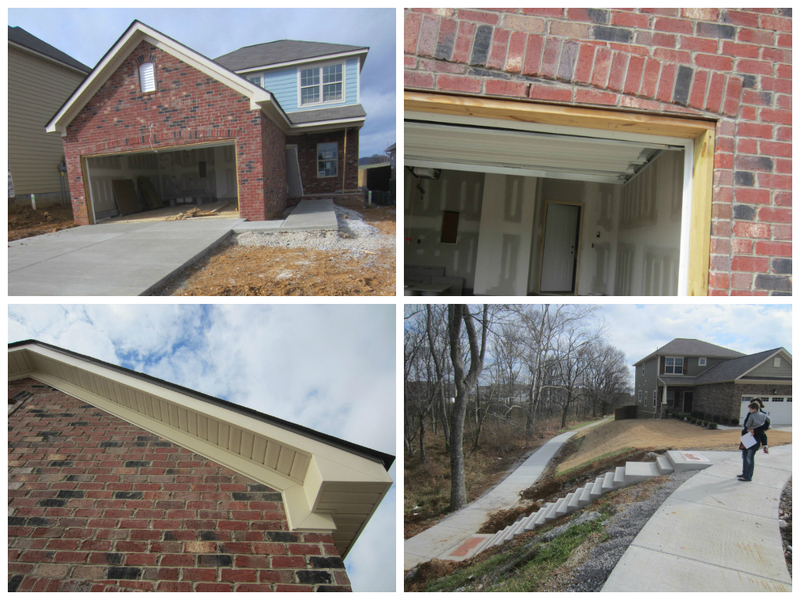 Other points of progress we noticed include the trim being painted and the automatic garage door opener being installed. In the meantime, our family has officially been moved out of our townhome for a week now, as we’ve begun living with some friends for the next couple of months until our new house is finished.